Patrick Gantier is now General Manager for Wrigley Pacific, a division of the Mars group. 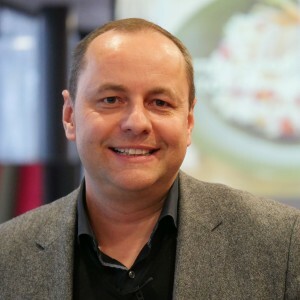 Gantier was formerly the General Manager for Mars Food France and has 20 years-experience in the fast moving goods industry in Europe and in the US. He joined Mars in 2008 as Marketing Director. Prior to his time at Mars Gantier worked various marketing roles in France and Central Europe. He holds a Bachelor’s degree in Economics and Finance and a Master’s degree in Marketing. Wrigley pacific is responsible for a number of chewing gum and confectionary brands sold in Australia including Skittles, Eclipse mints, Starburst lollies and Extra chewing gum which was relaunched in 2015. Former General Manager for Wrigley Pacific, Andrew Leakey, has been appointed General Manager for Mars Chocolate India.